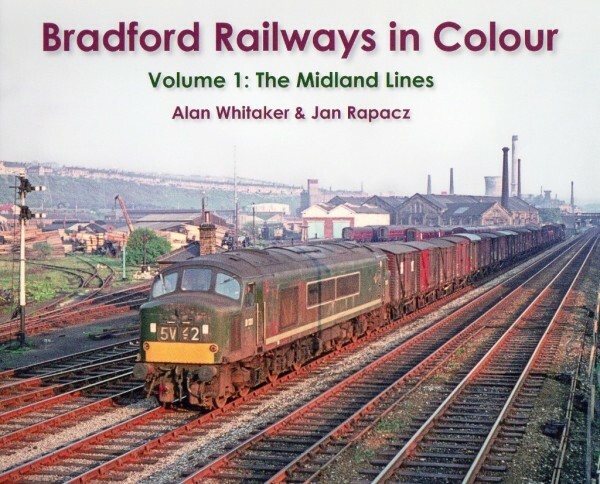 We take another colourful look at the 1960s railway scene in and around Bradford. This expanded collection of evocative images shows the extensive former Lancashire & Yorkshire and Great Northern Railway networks to the south of the city centre. Full colour hardback with 128 pages. "A spectacular series of colour photographs"
The starting point for this sentimental journey in the 1960s is the imposing terminus station at Bradford Exchange ​​with its magnificent twin-arched roof spanning 10 platforms built for the joint use of the L&YR and GNR. Featured in this latest book are the ex-L&YR Halifax line via Bowling and Low Moor to Wyke, the former GNR lines towards Leeds and Wakefield via Laisterdyke, Dudley Hill, Birkenshaw and Drighlington, and the Laisterdyke to Idle and Shipley & Windhill branch. 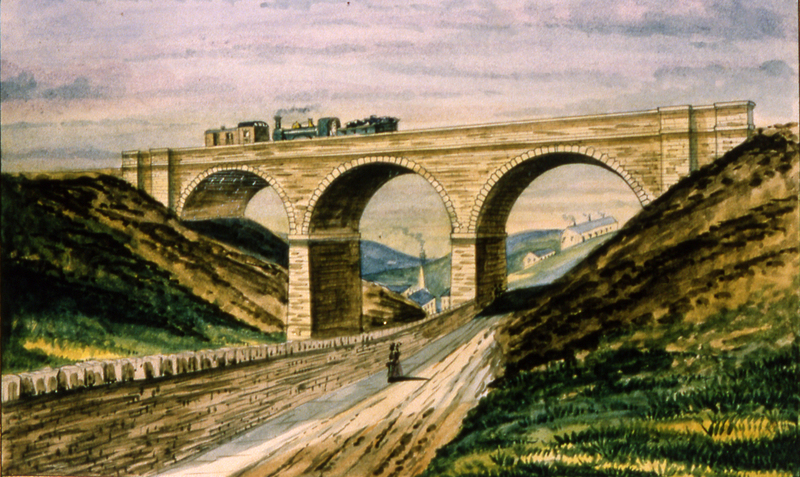 The book concludes with a journey to Thornton and Keighley via St. Dunstan’s and Queensbury. The decline of Bradford’s railways is, in many ways, a reflection of the more general economic downturn seen in the city during the last half century. The purpose of the book is to present a nostalgic look back to a time, not so long ago, when things were much different. The vast majority of the colour images contained in this book have never been published before and embrace a variety of locations which have been wiped from the railway map. A nostalgic look at Bradford’s busy railway network in the 1960s, with many photographs never seen in print before, each with an informative caption. This full colour album covers the former Midland Railway lines to the north of what was once the ‘Wool Capital’ of the world. 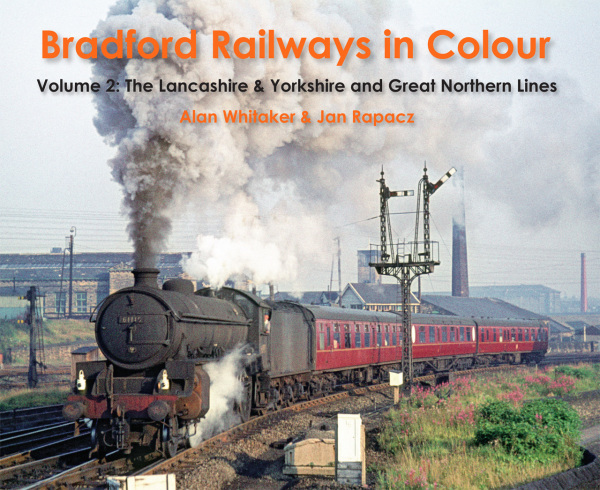 The eagerly anticipated follow-up to the acclaimed Bradford & Thornton Railway album is now available. This volume covers the Halifax, Thornton & Keighley Railway, and associated lines, which are seen in full colour for the first time. Many evocative images from the 1950s and 1960s feature passenger services as well as goods and coal traffic in the final years of operations. In the Victorian era, local railways up and down the country were an essential means of transport for raw materials, goods and people. Sadly, many of these lines have disappeared, almost without trace. Among those to fall victim was the former GNR line from Bradford to Thornton. Now, for the first time in full colour, Willowherb Publishing is pleased to present a unique collection of images depicting this long lost route.